Radio Amateurs are needed to help The Central Research Institute of Machine Building (TSNIIMASH) in Russia with some space plasma experiments taking place onboard the International Space Station (ISS) Nov 25nd - 28th and Dec 2nd -5th. The experiment will use the ISS Amateur Radio 145.825 MHz FM AX.25 1200 bps packet radio downlink. 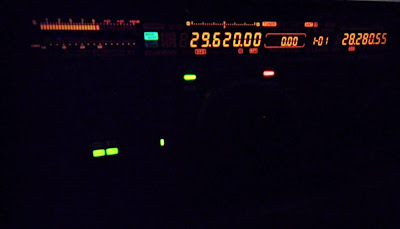 After work this evening I fired up my ham radio shack and started tuning up and down the bands. 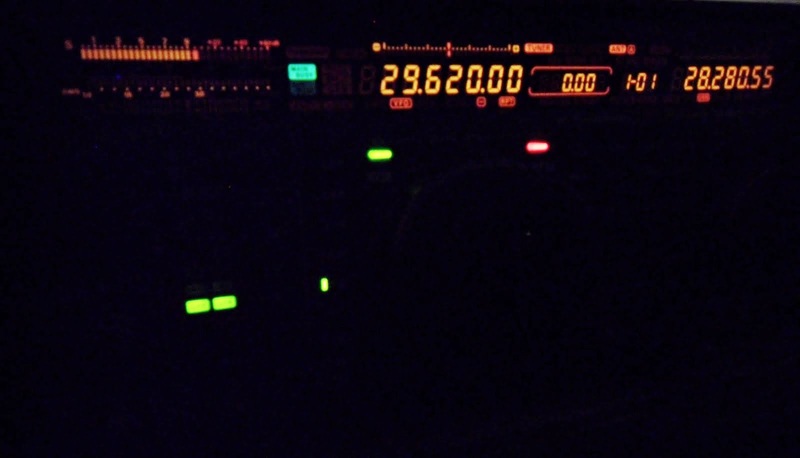 I had heard recent reports that the 10m repeater KQ2H was coming in strong on a regular basis with lots of interesting stations working through it. I tuned my FT1000 to 29.620MHz FM and sure enough I could hear the KQ2H repeater. KQ2H is located across the Atlantic near New York in the Catskill Mountains. I heard lots of stations calling through to begin with, it was slightly chaotic at times but then I suddenly heard Jose - XE2YHR coming in well with a big signal. After calling him three times Jose pulled me out of the crowd and we had a short QSO exchanging reports and location information. It was very nice indeed getting into Mexico via a repeater in New York on 10 meters FM. I'll be listening up on Ten FM over the weekend to see what activity might be found as well as enjoying time with the family. Over the weekend I enjoyed some of the fantastic openings up on the 10 meter band during this years WWCQ Contest. I managed to work some excellent DX for the first time in a long time up on 28MHz. The last time I heard conditions as good as they were, was back in the 80s when I was an avid 11 Meter DXer as well as a spotty faced teenager. My old President Adams at the time brought exotic signals to my early radio days. I still have some old chicken box kit from way back which includes a couple of 40 channel AM rigs, an original colt as well as a little president AR7. I also have a Ham International Multimode II. This years WWCQ contest was worked mainly on 10 Meters for me using my FT1000mp MKV field and Carolina Windom antenna (CW80). I exceeded my previous total of 15 Zones by spending my time up on 10m more or less throughout the contest and working a total of 21 World wide zones. This is the best I have done since getting on the air during WWCQ and I am pleasantly surprised how well my humble station is working for me at my relatively new QTH. I made many great contacts into 25 different DXCC during the 2011 CQWW contest and had a lot of fun doing it. As usual I made sure that I caught some of this years WWCQ contest on video whilst working up on Ten meters. The video shows lots of fantastic signals booming in from various World wide zones. I hope you enjoy it. 73!